Wow! This caravan is stunning. At 39 feet long it is the largest caravan we have on the Park and it truly is exceptional. 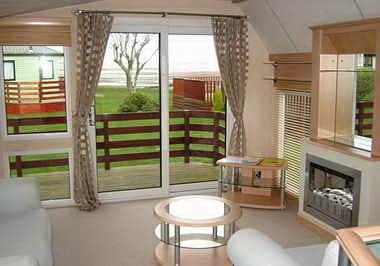 Situated one row back from the seafront it benefits from partial sea views to the front, and overlooks a garden at the side, from its sizeable sunny balcony accessed a patio door from the lounge. 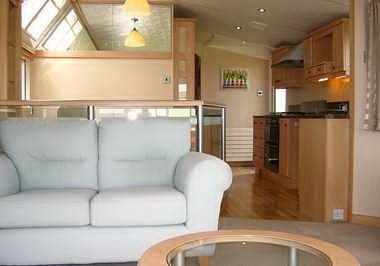 The open plan lounge, kitchen and dining area are superb. 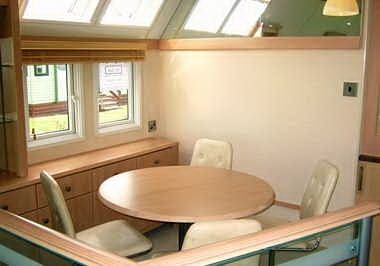 Plenty windows and a velux skylight provide oodles of light, the lounge is well set out to take advantage of the view, the dining area is on a slightly raised mezzanine and the kitchen is exceedingly well appointed with a large in built fridge freezer. 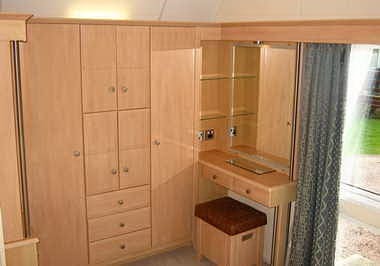 The beautiful master bedroom has lots of storage space and an en-suite bathroom with a bath. 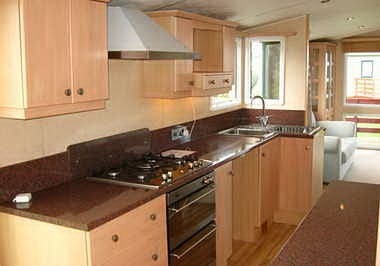 A spacious twin bedroom and separate shower/WC complete the accommodation. 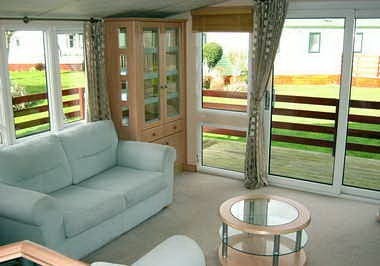 Centrally heated and double glazed this caravan also has a dedicated parking space. A real gem.